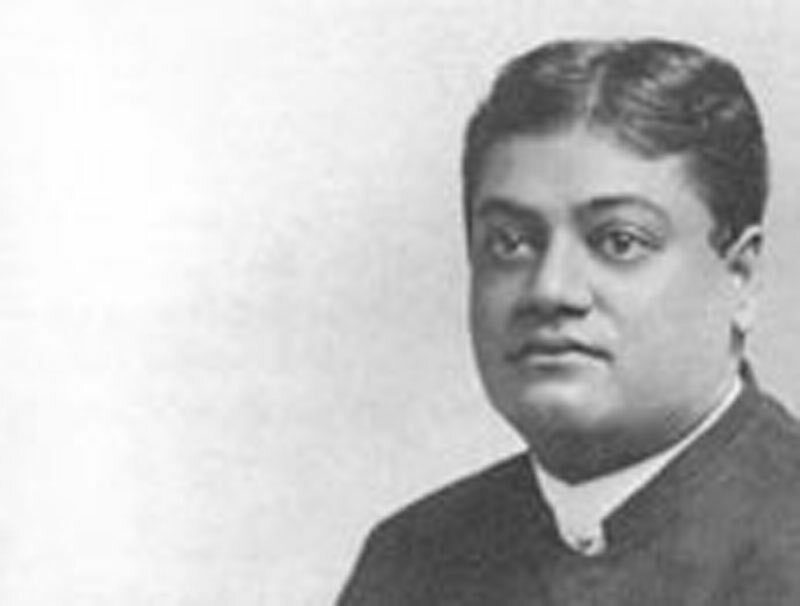 The Cosmos and the Self - Teachings of Swami Vivekananda by Topic- Frank Parlato Jr.
Everything in nature rises from some fine seed-forms, becomes grosser and grosser, exists for a certain time, and again goes back to the original fine form. Our earth, for instance, has come out of a nebulous form which, becoming colder and colder, turned into this crystallised planet upon which we live, and in the future it will again go to pieces and return to its rudimentary nebulous form. This is happening in the universe, and has been through time immemorial. This is the whole history of man, the whole history of nature, the whole history of life. Every evolution is preceded by an involution. The whole of the tree is present in the seed, its cause. The whole of the human being is present in that one protoplasm. The whole of this universe is present in the cosmic fine universe. Everything is present in its cause, in its fine form. This evolution, or gradual unfolding of grosser and grosser forms, is true, but each case has been preceded by an involution. The whole of this universe must have been involute before it came out, and has unfolded itself in all these various forms to be involved again once more. Take, for instance, the life of a little plant. We find two things that make the plant a unity by itself — its growth and development, its decay and death. These make one unity the plant life. So, taking that plant life as only one link in the chain of life, we may take the whole series as one life, beginning in the protoplasm and ending in the most perfect man. Man is one link, and the various beasts, the lower animals, and plants are other links. Now go back to the source, the finest particles from which they started, and take the whole series as but one life, and you will find that every evolution here is the evolution of something which existed previously. Where it begins, there it ends. What is the end of this universe? Intelligence, is it not? The last to come in the order of creation, according to the evolutionists, was intelligence. That being so, it must be the cause, the beginning of creation also. At the beginning that intelligence remains involved, and in the end it gets evolved. The sum total of the intelligence displayed in the universe must therefore be the involved universal intelligence unfolding itself, and this universal intelligence is what we call God, from whom we come and to whom we return, as the scriptures say. Call it by any other name, you cannot deny that in the beginning there is that infinite cosmic intelligence. What makes a compound? A compound is that in which the causes have combined and become the effect. So these compound things can be only within the circle of the law of causation; so far as the rules of cause and effect go, so far can we have compounds and combinations. Beyond that it is impossible to talk of combinations, because no law holds good therein. Law holds good only in that universe which we see, feel, hear, imagine, dream, and beyond that we cannot place any idea of law. That is our universe which we sense or imagine, and we sense what is within our direct perception, and we imagine what is in our mind. What is beyond the body is beyond the senses, and what is beyond the mind is beyond the imagination, and therefore is beyond our universe, and therefore beyond the law of causation. The Self of man being beyond the law of causation is not a compound, is not the effect of any cause, and therefore is ever free and is the ruler of everything that is within law. Not being a compound, it will never die, because death means going back to the component parts, destruction means going back to the cause. Because it cannot die, it cannot live; for both life and death are modes of manifestation of the same thing. So the Soul is beyond life and death. You were never born, and you will never die. Birth and death belong to the body only. The doctrine of monism holds that this universe is all that exists; gross or fine, it is all here; the effect and the cause are both here; the explanation is here. What is known as the particular is simply repetition in a minute form of the universal. We get our idea of the universe from the study of our own Souls, and what is true there also holds good in the outside universe. The ideas of heaven and all these various places, even if they be true, are in the universe. They altogether make this Unity. The first idea, therefore, is that of a Whole, a Unit, composed of various minute particles, and each one of us is a part, as it were, of this Unit. As manifested beings we appear separate, but as a reality we are one. The more we think ourselves separate from this Whole, the more miserable we become. So, Advaita is the basis of ethics.